Want to prevent infections? Wash your hands! In a recent article in New England Journal of Medicine “Chasing Seasonal Influenza” it was reported …according to the Australian Government Department of Health. Influenza A (H3N2) viruses predominated, and the preliminary estimate of vaccine effectiveness against influenza A (H3N2) was only 10%. The implications for the Northern Hemisphere are not clear, but it is of note that the vaccine for this upcoming season has the same composition as that used in the Southern Hemisphere. 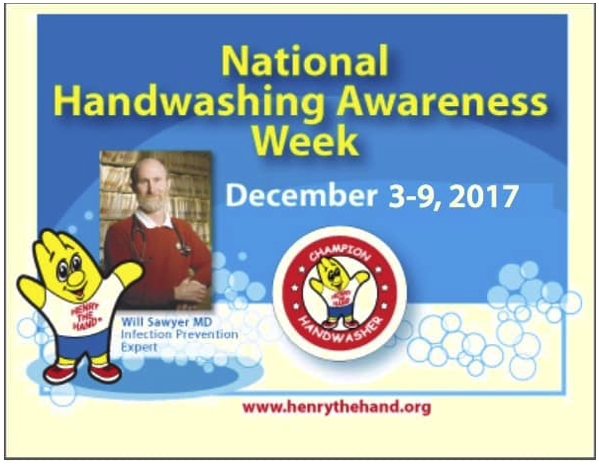 BUT, No need to worry because in 1999 during first Flu vaccine shortage a community wide coalition created events promoting handwashing with coloring contests throughout schools and community centers and ended during the first National Handwashing Awareness Week! Result was one of the healthiest year for our community! Share the National Handwashing Awareness Week poster with everyone you believe could benefit!! And an additional bonus is True Flu Prevention poster for those who do NOT want the flu or flu-like illness!! Our latest innovation is the first portable self teaching Hand Hygiene Learning Center that helps students train themselves. Sized for Early Childhood age group and one for larger students, as well! Put it outside the Classroom, in the cafeteria, playground or wherever there may a norovirus/shigella outbreak! There is a Classroom Tool Kit included to help your students sustain the habit! The addition of the Tool Kit can help train your staff, students and their families with the tools to keep them healthy year round by practicing Henry the Hand’s 4 Principles of Hand Awareness. The BEST science-based, multi sensory curriculum in a Tool Kit that is so easy to understand it teaches itself! Your gift for Global Handwashing Day!! In the Science of Habit, Dr Jelena Vujcic discusses the two critical components around habit : first, creating a good habit and second, is sustaining the habit. However, sustaining the habit is the more difficult component to achieve! 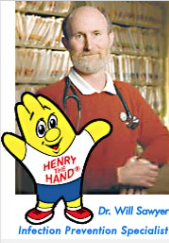 Visit the Henry the Hand Website.